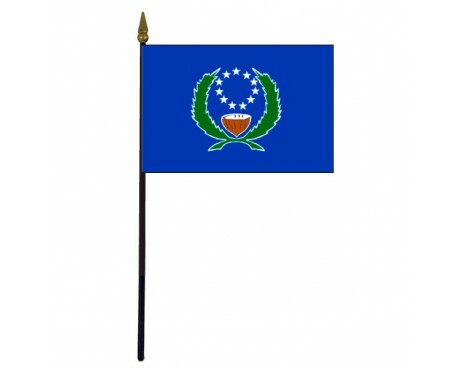 Ponape 1977 Stick Flag (Micronesia) - 4x6"
The Micronesia flag has a simple design that reflects both the nation's past and its current status. The current design draws on elements that are native to the nation as well as aspects that come from the nations that have influenced it to create a flag that embodies Micronesia and its people. 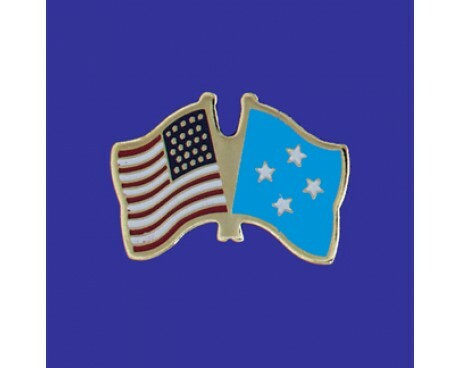 The Federated States of Micronesia consists of several islands that have joined together to form a single nation, and the flag represents that union. 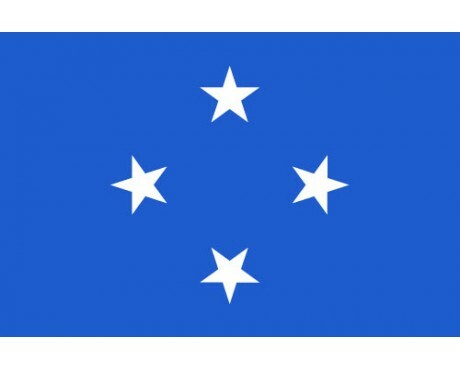 The Micronesia flag has a light blue field that displays four white stars arranged in the pattern of a diamond. 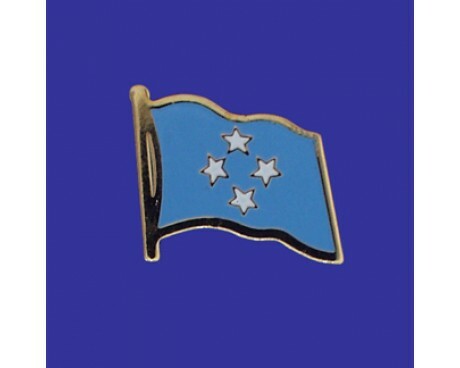 The four stars represent the four islands that make up Micronesia, while the blue field represents the Pacific Ocean that surrounds those nations. The flag is also a symbol of the nation's history as much as it is a symbol of the nation's geography. The blue field comes from the flag of the United Nations, which partially controlled the nation's administration in the immediate aftermath of the second world war. The stars came from the flag of the United States of America, which had control of the islands as part of the United Nations mandate of the same period. The current flag of Micronesia is a very recent design. It was adopted in 1978, several years before the United Nations and United States of America completed the process of transferring power to the national government of Micronesia. 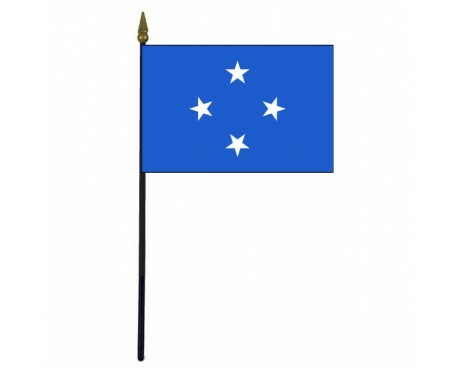 The modern flag is the only flag to represent Micronesia as an independent nation, but several other flags represented it before the new government took power. The islands were administered by a variety of governments prior to the world wars, including Spain and Germany. The islands then passed to Japan following the first world war under a United Nations mandate. The islands were represented by the flags of their controlling nations during those periods. Three flags represented the islands in the time between the second world war and their independence, and their use frequently overlapped. The flag of the United States represented them between 1944 and 1986, which covers the entirety of the period. They were also represented by the flag of the United Nations between 1947 and 1965, and the flag of the Trust Territory of the Pacific Islands between 1965 and 1978.